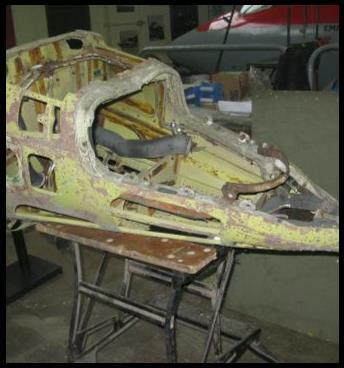 The nose section, forward of the cockpit pressure bulkhead was bent upwards by about 50 and squashed bottom to top. 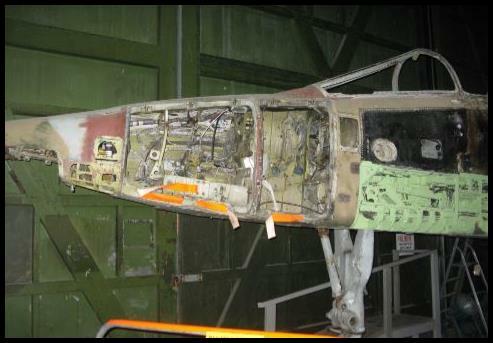 It was also damaged by both explosive testing and fire. 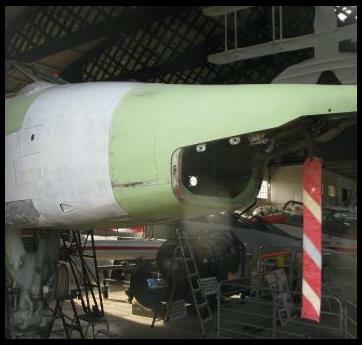 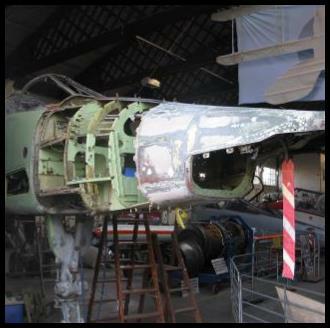 In order to carry out the repairs the nose has had to be dismantled back to the pressure bulkhead. 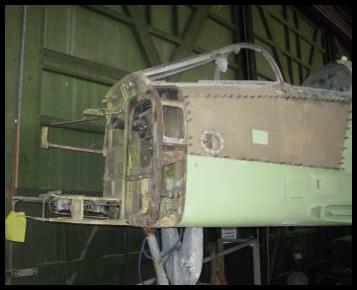 Hundreds if not thousands of rivets had to be drilled out. 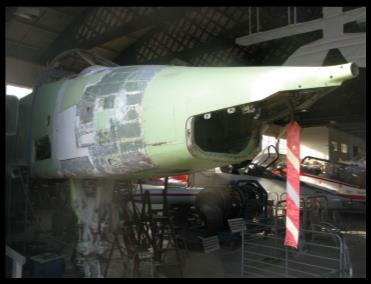 The nose then had to be reassembled. 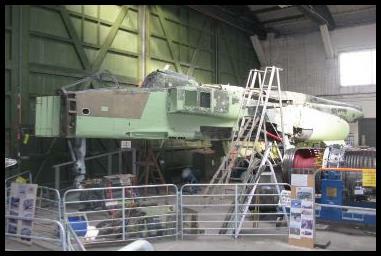 All those rivets had to be put back in. 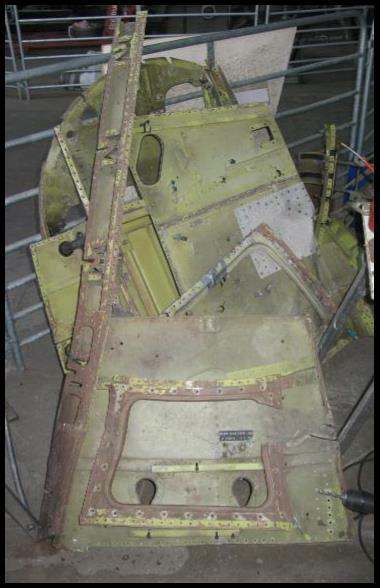 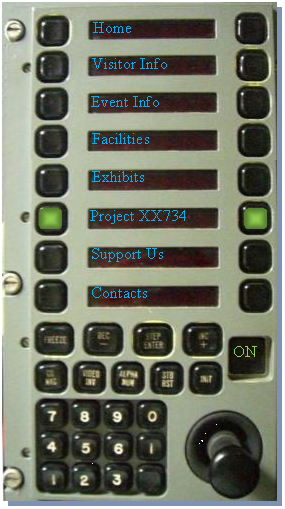 The missing doors and panels were locally manufactured. 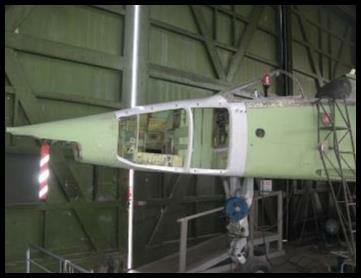 Other work has included the installation of the windscreen and side screens. 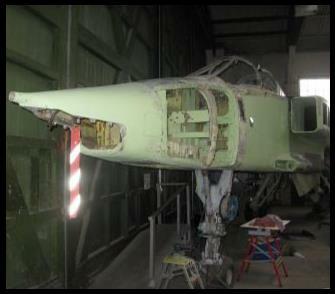 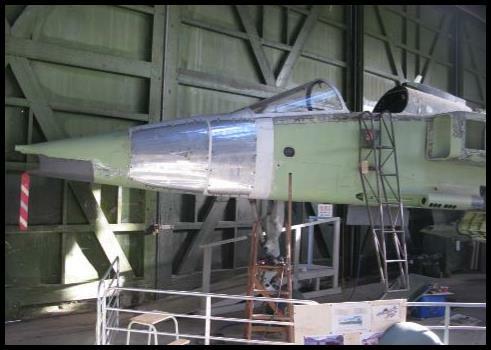 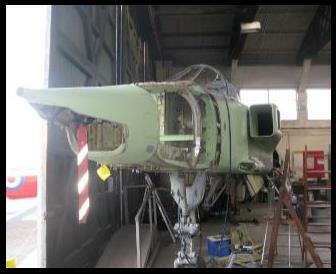 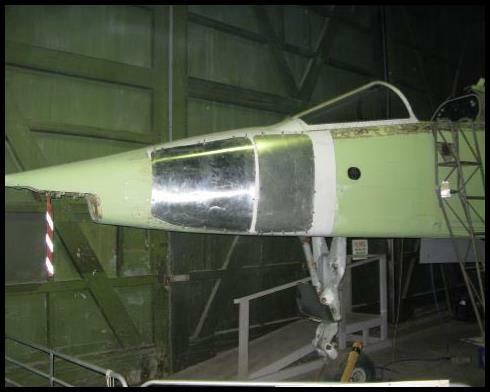 A damaged (bird strike) laser nose cover has been obtained and it is being repaired. 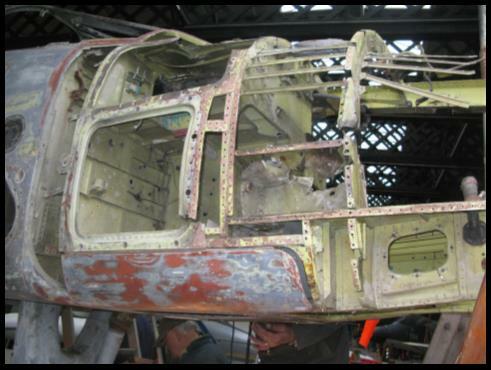 The individual components had to be repaired (straightened and/or strengthened) or replaced with locally manufactured parts.